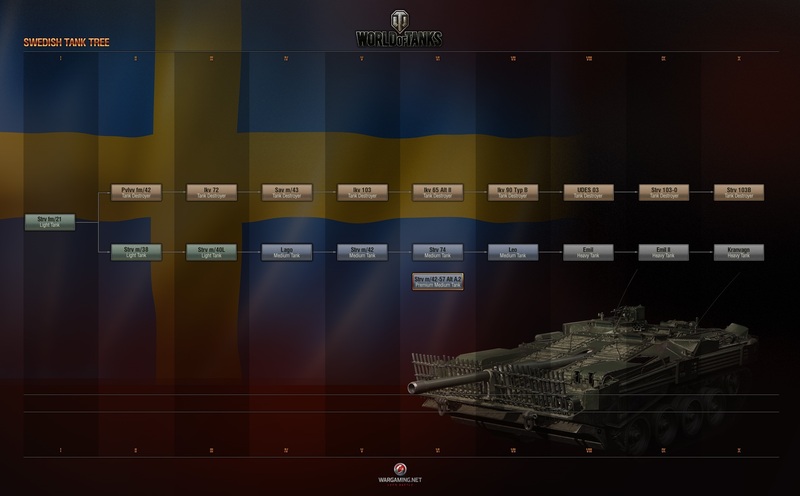 Straight from the European video game expo gamescom, Wargaming has announced upcoming World of Tanks features, including the addition of Sweden! And to top off our 100 Years of Tanks celebrations, look out for an exciting game mode featuring the Mark I! Coming soon -- for now, check out these new screenshots! Check the In Development Section for More Details! Will there be unified Premium Accounts (including currency) for all Wargaming games? Premium accounts are already unified across our PC "World" games, but currency is a different story. We've considered unifying it, but it didn't work out with each game's life cycle and economy. For that reason, we'll keep them separate for the time being. Why do I only get three or four maps over 40+ matches during a single play session? In Update 9.14, we increased the map variety, and we continue looking for cases that limit certain players' map availability, and we're addressing the ones we find. Keep in mind that when you filter the types of random battles, it may limit the number of maps you see, since not all maps are available for all modes. Why are you removing maps from the game instead of reworking them? Most of the maps that have been removed are being reworked. Sooner or later, we may bring them back into rotation. When will World of Tanks get Italian vehicles? Our historians are currently researching European tank-building schools, including Czechoslovakian, Polish, Italian, Swedish and Hungarian. We've had more luck with the Swedish tree and we were able to fit 19 vehicles in two full branches, with hopes that we'll release them by the end of this year. As for Italian tanks specifically, they're not coming this year, but hopefully in the future. Why is matchmaking +/- two tiers with normal tanks and +/-three with scout types? We're working on a new version of the matchmaker that should solve current problems with team balance. You can expect to see some public tests of this later this year. Have you considered operating an official "mod store" so you can ensure they're virus-free? Yes, we have definitely considered it. We love our mod-making community and we want to make it easier for players to use mods while protecting them from harmful ones. We're looking into a number of ways to do this, and we'll let you know once we've finalized our plans. Can we expect weather effects similar to the console version of World of Tanks? Weather is one of the things where we don't have anything to announce at the moment. We recently moved to a new version of Direct X and the development team is working to improve in-game visuals and performance. Are there any plans to change Personal Missions to prevent mission rigging? We happen to be working on it right now. Not only on the missions, but the Garage and battle interfaces, making them more user-friendly. How long does it usually take to create a map? It depends on the scale and setting. If we are talking about a completely new setting with all new objects, it could take up to nine months for the full cycle, including map creation and testing. If we reuse objects, the process would be a bit faster. When will you finally rebalance artillery? We're working on this right now, and we have a number of prototypes that need testing. Sandbox testers have seen them on that server. We want this class to fulfil its role without being a letdown for other players.